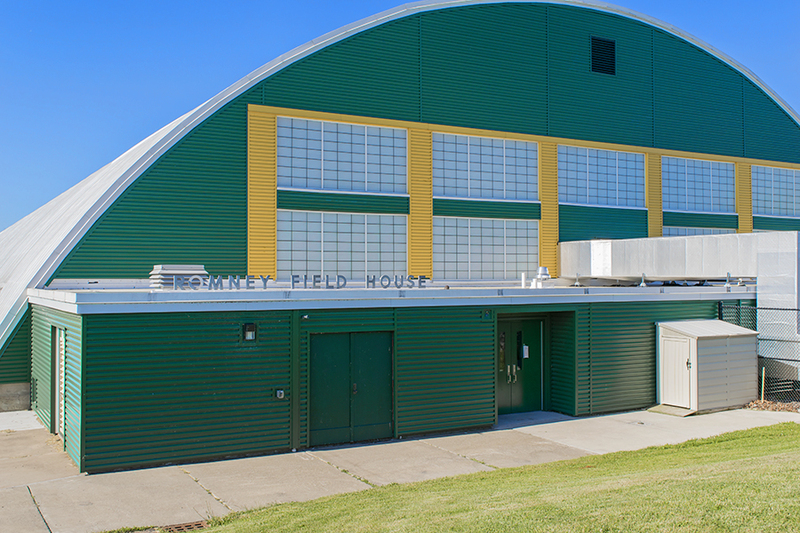 Built on the South Athletic Field and measuring 114,365 square-ft., Romney Field House provided the first ice rink for public use to the Oswego community. It opened to the public in 1962, charging 50 cents per person, or about $4 today. After the ice arena opened on campus, Romney was transformed into a facility for the college’s track and lacrosse teams during the winter months, as well as some intramural sports. The field house was named in honor of Golden Romney, the head of health and physical education in the 1930s and ‘40s. He also helped design the college’s first ice rink, which would be in the fieldhouse.